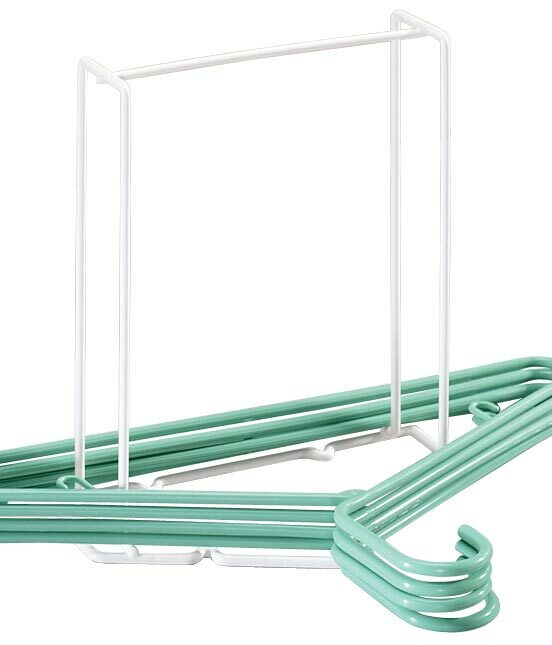 I LOVE this over-the-door storage rack. I placed it inside my pantry door and use the shelves for the multitude of packages I have...the sauce package mixes and the packet mixes for dips. They took up so much room on the pantry shelves and now they are on the door and easy to find and I have so much room on the regular shelves for cans and jars and other items. This is great. I went back and ordered another one that I will use in the utility closet for jarred candles and seasonal items that take up room on the top shelf of a closet. 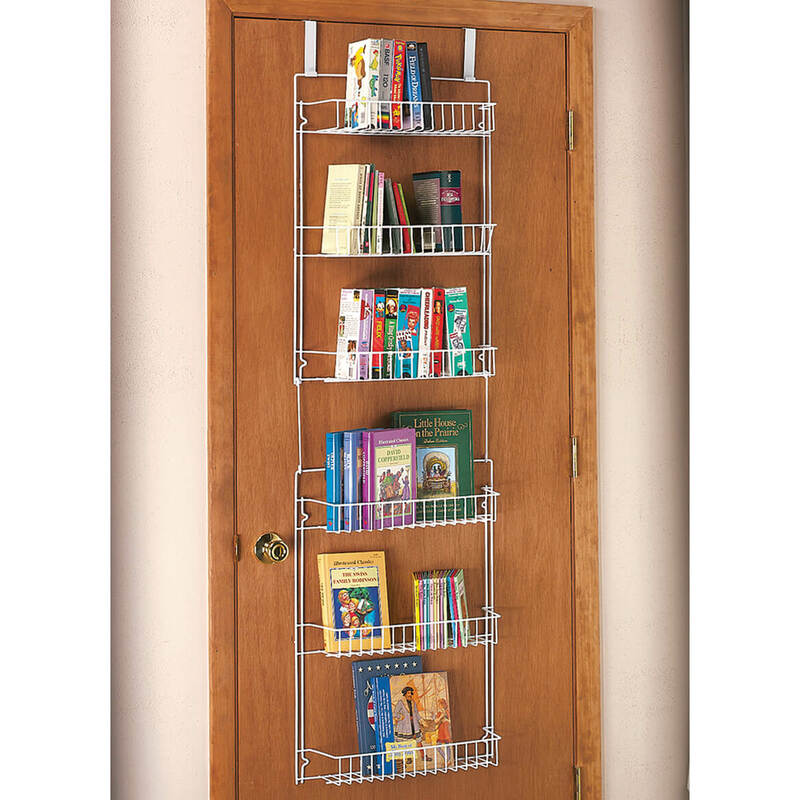 This is a great item with numerous shelves. This gives me extra storage on my pantry door. I adde this to the inside door of my too small pantry closet the doors are hollow so putting any hardware into them is out of the question. I found some heavy duty felt strip pads [adhesive on one side] they hold the rack frpm banging when opening & closing. I now can see a lot of products they were behind each other in the clost. Great product. Over the door hangars like this are at least twice or 3 times more expensive in a big box store, so I opted to try this one. It holds everything on my pantry door, but do advise to use at least 4 of the screws to hold it down to the inside of the door, otherwise if you just hang it from the top and the connectors for the bottom shelves, that is too flimsy. There are 8 screws possible and I used 4, which was fine for the boxed items I put in them. Love it! I bought two of these over the door storage racks. I am very satisfied with them. I put one in my Kitchen Pantry and one in my Guest Bath. They were easy to install and provided much needed space. I will buy them again. My daughter is buying some now!!! Holds a lot but only fits the standard size door. I bought this a few years ago and it is a strong, sturdy item and it has plenty of room for storage. I purchased two of the Over the Door Storage racks and installed one almost all by myself. I was amazed how much "stuff" this thing held. It looks neat and really does what I want it to do. Thanks so much for a wonderful product. i cleared up some cabinet space and was able to put some of my small appliances in the extra space I made. 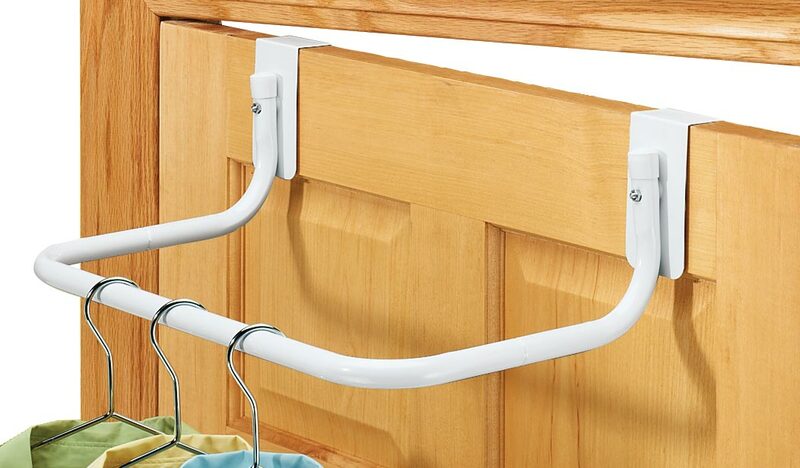 we love the over the door storage rack ! on the inside of the kitchen closet door,works wonderful!!! Everything is great about this product. Solved a major storage problem. When the shelving unit is not on the door or if it is mostly empty it is flopsy. Needs door to sturdy up. I found the screws that came with it have too small a head so I got really cheep washers. Screw thru the washer then the rack screw slots & it holds the rack rigid. I also have it screwed to a "luan hollow core door"... that's right!... I have canned goods stacked 2 high... 2 high, on each shelf. Liquid stock containers, bags of dried beans, rice, lg spaghetti sauce, lentils, etc are stuffed into these shelves. The weight is colossal, with no sagging. Follow the directions, use all your screws (just add washers) & you have a great solid unit, & I have to firmly/forcefully close my pantry door. I have been using this set up for several years now (10+ ???). If I needed to get another I would in a heart-beat. This one is my first & only & is showing NO wear. Absolutely, I highly recommend w/ a strong suggestion to set it up correctly. I have had no reason to make any adjustments. I love it, love it, love it. What a convenient space safer!!! I have a double folding pantry door in my tiny, tiny, tiny 1 BR senior apt that is hard to fit with anything over the door. I've tried other things that just didn't fit. It was so frustrating! But this one FITTED! And it fits so well & gives me so much more space. I love this space saver & just wish I'd bought it long ago! Thank you Walter Drake for making my life easier! Love it. Relieved some of my cabinet space. I would buy this rack again!!! Worked great...helped me make order out of a messy shelf! We needed space to store everything in our pantry. We now have extra room! I received this today and am very happy with it! It is very sturdy and well made. The rack fit over my pantry door perfectly without any additional anchors. The item came in a sturdy box and exceeded my expectations. I would love to have one on every closet door in my house! Even better than I had expected! I have already reccomended this to a friend. It provides convenient extra space in our kitchen in a house where the main pantry is in the basement. Saves me many stair climbs and helps me to keep dry goods out of the basement. It was exactly what I needed! Delivered when promised too. Installed this on the inside of my pantry door, it expanded the storage tremendously. i bought this for my daughter to use in her bedroom closet to provide more storage. i couldn't find one this large in any local stores and not at this good of a price. have told others about it and now they want one. it is very durable and has given her much needed extra storage. love it!! I used this over-the-door storage rack to store light items, to de-clutter a storage area that had become an eye-sore. It was perfect. The heavier jars and bottles I placed on a shelf, so I cannot say if it would handle heavier items or not, but it suited my needs perfectly. I love this product for storage and ease of finding products that I buy in bulk. I cook a lot and now my products are easy to find! I love this so much that I bought two! I needed more space in my cupboards so this was a big help! I put one on each side of a door. I don't get a lot of company so it doesn't bother me they're on both sides. It's just so handy. I can see what I want right away instead of pulling cans out to see what's behind in my cupboard. I'm thinking of getting more of these for my other rooms...maybe bedroom or bathroom. I put the shelf together and hung it on the inside of my pantry door. It works wonderfully for: boxed pasta, cookie or muffin mixes, any small boxes, etc. I am extremely happy with this purchase. I love it. It helped me organize my kitchen. Hangs snugly over the kitchen door. Holds a lot of items . This was very easy to install. So far it is working out. It gives more storage in the pantry.The price was good as well. I use it as book shelf and it's perfect . I hanged it in the wall and I can use part on the wall and the other on the door. Great purchase! I'm able to hide a ton of products in the bathroom closet and free up shelf and counter space. I use a linen closet as my pantry. This rack provided me with space for all my soup and veg cans. You will need to add extra screws for support and its very strong. Love it! This has been a life saver for me I live in a handicap apartment with hardly any room for anything and this has helped me with my pantry which actually should be my linen closet. it is everything I expected. great way to get extra storage. I love my over the door storage really have more storage in my pantry Monet well spent!! I have a pantry in my kitchen. This rack fits perfectly over the door and added more storage space. I am so happy that I found it. We put it in the pantry for extra supplies. It would have been helpful to have a block on the end of the shelf so small items can't fall through. Gave us room in the cupboards & my wife is able to get things at a glance conveniently without having to reach inside the cupboards. Just what I needed at great price! Great for holding medicines, and/or toiletries, or spices etc. Great way to store all that clutter. This was perfect for the back of my linen closet door. Holds all my bottles and cleaning supplies. Great product at such a reasonable price. A friend purchased one and have me the information to purchase it. I didn't want over the door attachment but those that mount to the door are to narrow, ending up needing to be screwed into the panels, not the rails. Have not been able to locate this exact item in a retail outlet. I have one already and need another one. I don't consider it flimsy at all but one might think it is if it can't be anchored down in some way. It's mostly made for things like cans, small boxes, spray cans, bottles, items that won't fall thru. Recommend. It is what I am looking for and the price is right. Have limited space. Have ordered from you before always been satisfied. I'm duplicating another set of shelves I have and have found them VERY useful in my newer, smaller apartment. To put in my pantry for more storage. I used to have something similar and these look very much like my old ones. Want to put my spices in some type of order. I have just the spot waiting for it. I need extra storage space and this had good reviews !! not enough storage for my cans and jars. had 1 before--love it. very convenient for extra storage in my condo. We need the extra space in our storage closet. 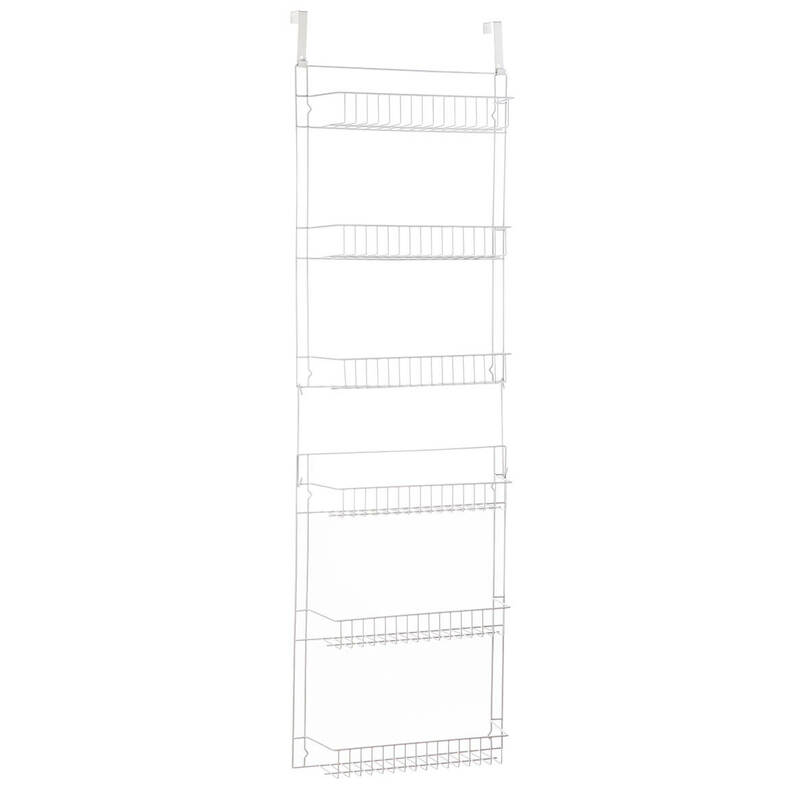 This rack should help my overloaded pantry. I am tired of plastic wrap, baggies and foil taking up space in my pantry. This will help clear up the space for other items. 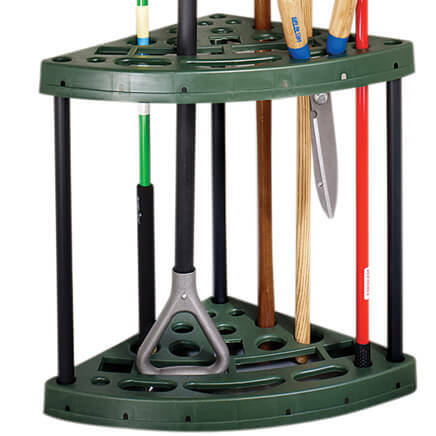 I love your catalog and have order these racks before so handy . I moved into a new apartment and there is only 2 small closets, so this is good to put my cd's & dvd's in. I have this over the door rack on my pantry door. I purchased a second one for my linen closet. It is a GREAT space saver! Daughter had one, I liked it so got myself one. I chose this item to use for extra space in my pantry. 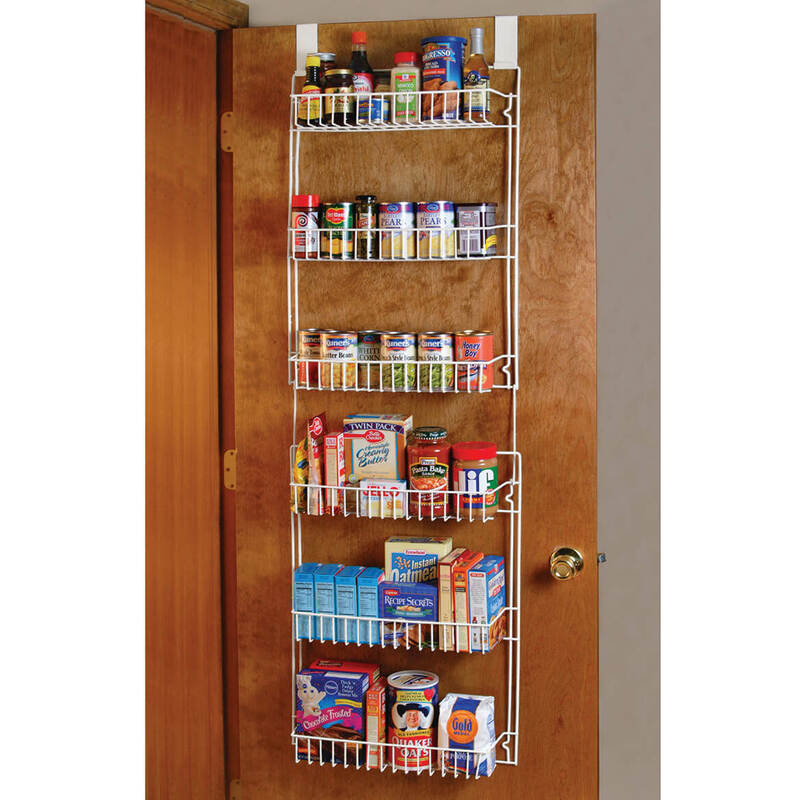 your over the door storage rack is $19.99 in the catalog but on line its $24.99 ? BEST ANSWER: Thank you for your question. Please apply the catalog source code at checkout to receive sale pricing in the catalog. We hope this information will be of help to you. Do you have smaller width? BEST ANSWER: Thank you for your question. 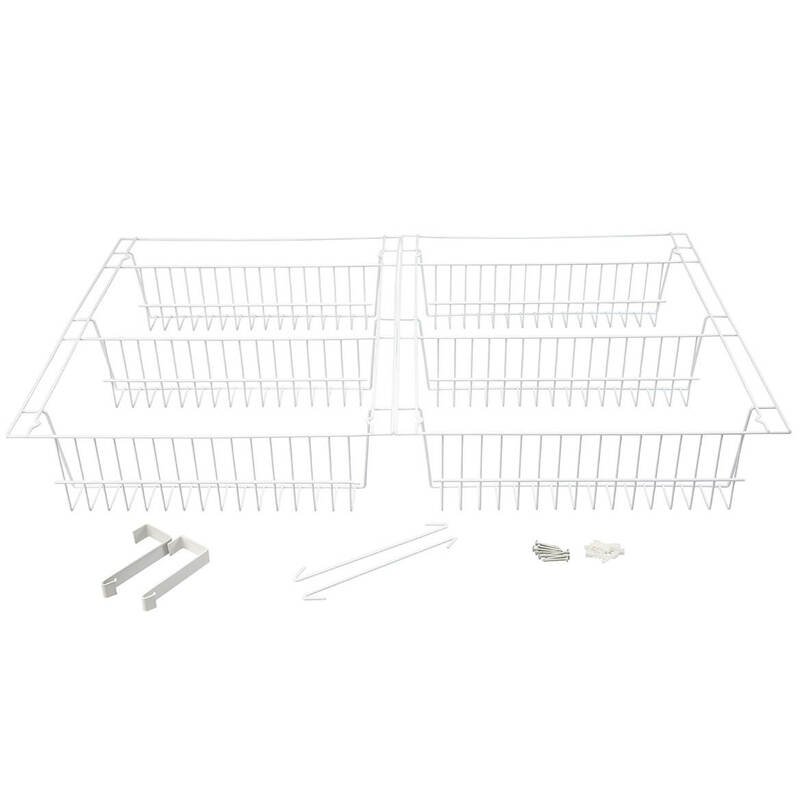 At this time we only have the Over the Door Storage Rack in the one size. We hope this is of help to you. Is it deep enough for DVD's to be stored with spines out to read the title? BEST ANSWER: yes and no. I don't have mine attached to the back of my door so it is not flush up tight to the back. I just hang it from the top of my door and it rests next to my door knob. If you hang it this way, yes the DVD's will fit just nicely to read. If you are thinking of somehow fastening it tight to the door, you will not have that little extra wiggle room. Hope this helps. Thank you for your question. Each shelf is 4 1/2 inches deep, so you must measure your DVD's to see if they will fit. We hope this information will be of help to you. I don't think so. I believe the shelf is not wide enough. No, don't thinks the shelves are wide enough for that. i did not buy that shelf. Can I use it to store cans? BEST ANSWER: Thank you for your question. Yes this will work well for storing cans. We hope this information will be of help to you. Yes, I could not use it due to my door not wide enough and I failed to measure but I gave it to a friend and she uses it for cans. You could store cans single file. Is this strong enough to hold about 20 cookbooks? BEST ANSWER: We use ours to store multiple bottles of vitamins and medicines that my husband and I take. Don't thinks the shelves are wide enough to hold cookbooks. Yes, this item is very sturdy. I love mine. One of the best things I’ve ever purchased. It has small screws that holds it in place.